With iOS 12, Apple opened up CarPlay to third-party map software and Sygic is excited to jump on board. 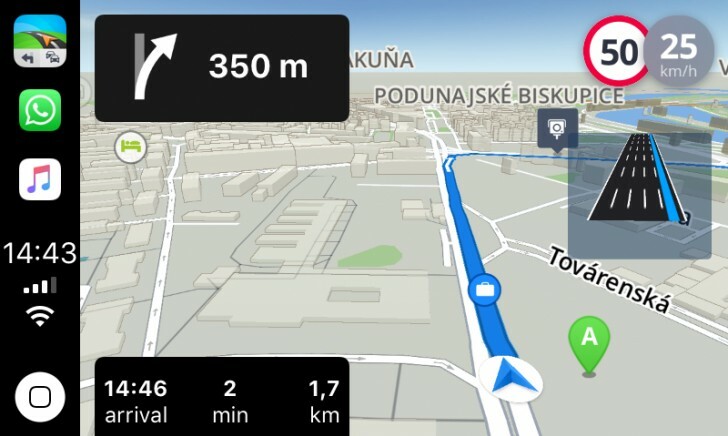 You can see a post on the company’s blog from two years ago that explains why Sygic maps weren’t on CarPlay or Android Auto. The reason, of course, was that Apple and Google allowed only certain apps to do navigation (and for Android Auto that is still true). Sygic has been working on support for CarPlay since the announcement was made at the WWDC and will give a progress update in the coming weeks. So, it may be a while before it launches. What can the company offer that Apple Maps can’t? Offline navigation. Apple Maps lacks a proper offline mode, it can only cache the necessary data before you leave. If you need to make a detour along the way you’re out of luck. The Sygic app can work fully offline and includes Predictive Routing (forecasts traffic based on 2-years worth of historical data), speed limits and a rich Point of Interest database.